58 year old white male, known history of toxic goiter and on Synthroid for the last decade and symptom free. He has receding fronto- temporal hair line and baldness at the crown and wanted to have his hair line restore first and crown later. His hairs are weavy, dark brown, coarse hair with good density. He underwent hair transplantation since Dec 25th,06 and just returned for follow up on Nov 20th,12 six years later and complaint of some progressive hair loss. 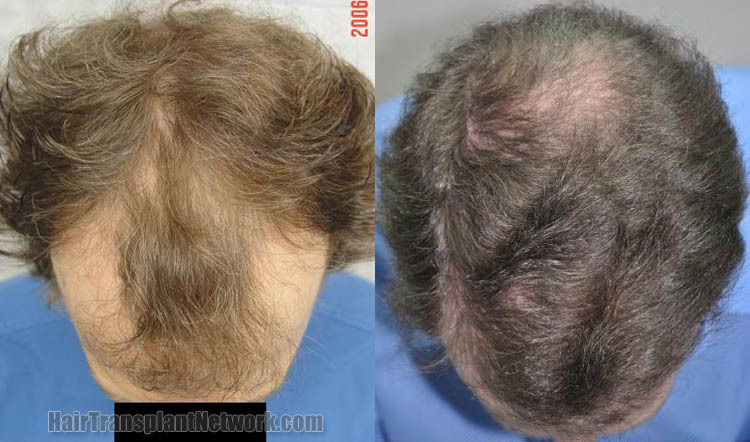 He didn’t take Finasteride or Minoxidil due to the side effects. His balding area measured 79 cm2 included the temple. A total of 2724 grafts ( 5958 hairs) were transplanted to the front and temple. Below are pre and postoperative pictures were taken six years later. He is planning to have further session at crown and add some density at front next year due to his budget constrain. 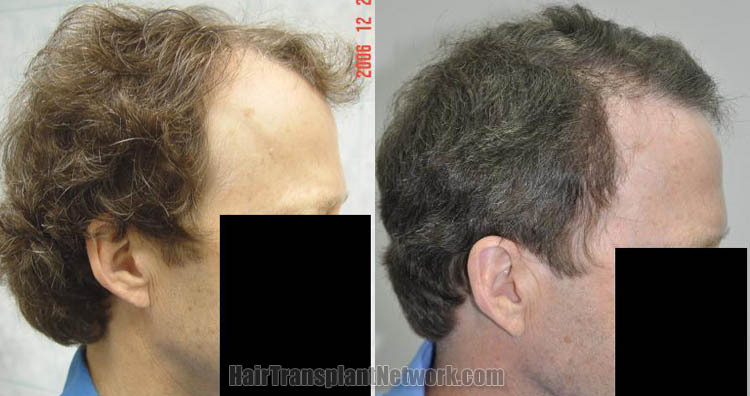 Hair restoration surgery using 2724 grafts shown from the front, viewing before and after pictures. 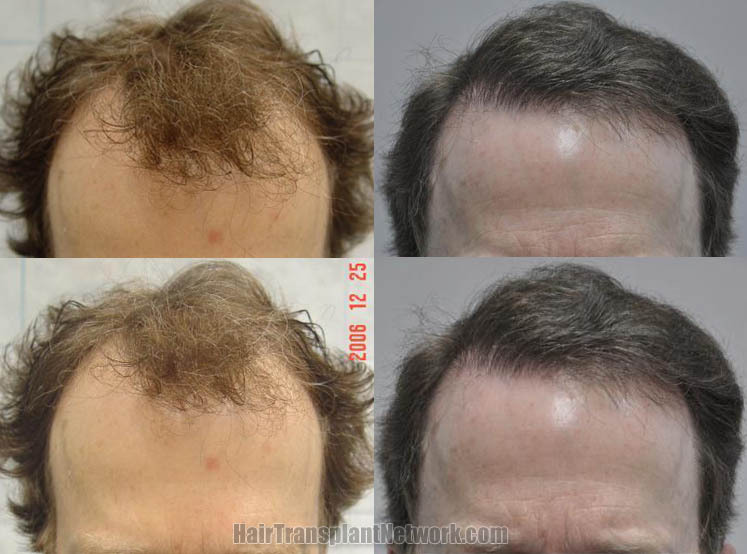 Hair transplant surgery using 2724 grafts viewed from the top, displaying before and after photos. 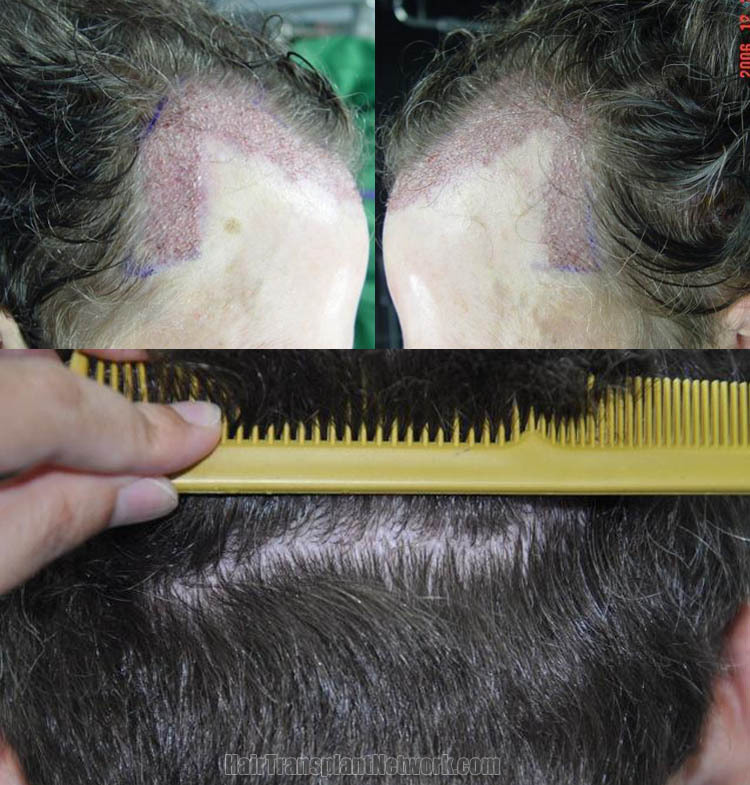 Hair restoration surgery with 2724 grafts displayed from the left, viewing preoperative and postoperative photographs. Hair transplant procedure with 2724 grafts displayed from the right, viewing before and after images. Hair transplant session using 2724 grafts displaying immediate postoperative images and a photo of the patient donor scar area.